In its first public annual report TransferWise has revealed its revenue tripled to £28 million in the year to March. The UK-based international money transfer platform also says that figure is now about £5 million a month, having doubled in the past 12 months. It was not all good news as pre-tax losses grew to £17 million from £11 million a year earlier. The firm says this is because it is investing back in the business. For its monthly transaction volumes and values, customers were now transferring £800 million pounds in more than 600,000 transactions each month. It says transaction volumes are up 50% in the past six months, while the amount transferred for customers between different currencies each month has risen from approximately £500 million a year ago. In terms of previous action, TransferWise became the “first” tech firm to get direct access to the UK’s Faster Payments Scheme as technical partner to Raphaels Bank. TransferWise also teamed with German digital bank N26 (previously Number26) to provide the latter’s customers with direct “in-app” access to TransferWise’s service. 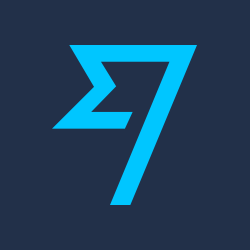 We talk to Transferwise about its progress, with partner banks as well as under its own steam.